When we hear about the Internet of Things (IoT), the focus is primarily on consumer-centric products that are designed to work together in the home. But there is a significant segment of the IoT industry dedicated to improving retail operations for businesses. 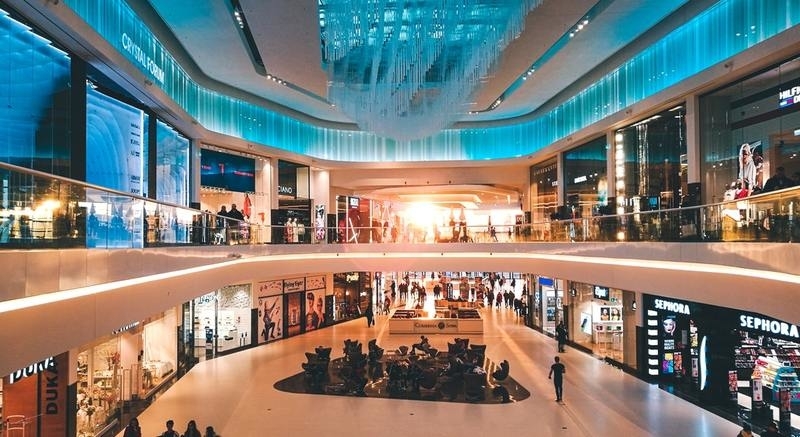 Given the undeniable struggles and subsequent downsizing that the brick-and-mortar retail industry has undergone lately, taking an IoT-centric approach could mean the difference between consistent sales and empty big box locations. They can improve overall operational efficiency. They improve the supply chain and stock management. Have you ever been in a long line at a store and thought, “Wow, this is so much better than ordering a product online from my couch”? Exactly – nobody has ever said that. The rise of online retail has taken long-accepted inconveniences like in-store lines and made them liabilities for retailers. In addition to customer inconvenience, long lines come with a business cost. The only way to deal with long check-out lines as of now is to pay employees to expedite the process, either by physically working registers or assisting with often-unreliable automated checkout stations. By comparison, the IoT enables retailers to read the encoded tag information on items when customers leave the store. Instead of waiting in a long line, the cost is automatically deducted via a mobile payment app. McKinsey estimates automated checkout will reduce staff requirements by up to 75%, resulting in savings between $150 billion to $380 billion annually by 2025. Waste management is a serious expense for retail operations, especially when their merchandise shipments vary. Sensa Networks has provided retailers with a solution. Based on its comprehensive Internet of Things Retail Case Study, Sensa developed strategies designed to cut down on retail waste management inefficiencies. Sensa uses machine-to-machine wireless communications to provide data on bin volume, allowing for the automation and optimization of waste management operations. These improvements lead to lower fuel costs, reduced wear and tear on equipment, and a higher operational capacity that allows for increased productivity. From a management perspective, the IoT allows for an innovative web-based remote monitoring platform which is accessible by multiple stakeholders throughout your organization. Additionally, all data is available in real-time and is accessible 24/7. Preventing shoplifting is a constant concern for any retail operation. The generally accepted method of combating illegal behavior is a combination of in-store staffing and electronic monitoring, neither of which is cheap. But there are ways the IoT can help detect and deter potential theft. By fitting shelves and displays with weight sensors and using RFID tags and readers to scan the products, retail managers can keep track of when specific products leave the shelves in real time. These tags and sensors are especially useful for smaller, high-value items that are perpetual targets for shoppers with sticky hands. Because each RFID tag connects to a reader, retailers can detect in-store theft without the cost of security employees and cameras. 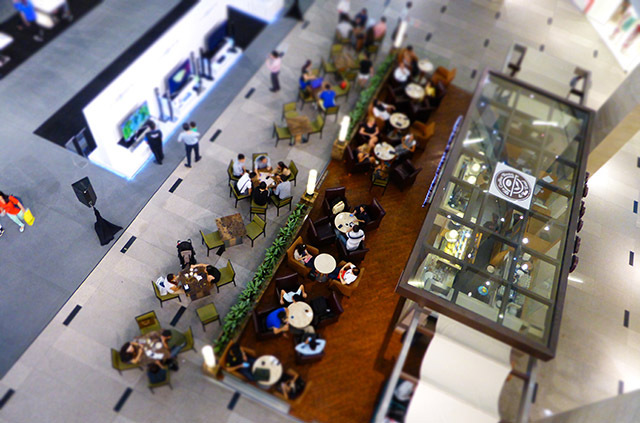 As retailers continue to focus on streamlining operations, brick-and-mortar locations will become far more personalized. Research suggests the focus will center on high-contact services and experiences that require intense interaction between the product, staff, and consumers. Imagine an automobile dealership showroom or a turbo-charged Apple store. One area where hyper-personalization may thrive is retail fashion and apparel, where the tactile experience of trying on clothes requires the customer to be at the store. Some retailers, including Rebecca Minkoff, use a digitized mirror to allow shoppers to select items they want to try on. When the clothes arrive at the dressing room, a personal stylist informs the customer via text and offers amenities that can range from style advice to complimentary drinks. Right now, there’s no app for that kind of experience. For many retailers, the journey doesn’t end when the customer makes the purchase and leaves the store; in fact, the retailer-customer relationship is just beginning. Known as mapping the customer journey, this IoT application allows retailers to gain critical market data in an un-intrusive way. For example, some retailers are moving forward with plans for chip-embedded clothing. In exchange for providing the retailer with the data they crave, customers can earn rewards points by “tagging in” at various locations wearing the company’s clothes. Understandably, such plans are not without controversy. Many people feel uncomfortable knowing that their movements are being tracked and recorded in a database every time they put on their favorite hoodie, especially considering the existence of corporate data breaches and companies that sell data without their customers’ knowledge. Another IoT application capable of transforming retail is the use of sophisticated sensors and cameras to track the path of customers through a store. Not only does this provide essential data about store traffic patterns, but it also allows retailers to send relevant coupons or offers to customers in real-time. As customers walk past the shoe display, their phones ping with customized deals or discounts to entice them to buy shoes. This technology can also be used to dispatch sales associates to areas where customers are lingering, improving their customer journey. Robot employees are coming to retail, and the IoT will have quite a bit to do with it. While the reduction in labor and human resource management costs is undeniable, there are still many unanswered questions as to how robot employees will fit within the traditional retail paradigm. Some retail stores are already making the leap. Target, for example, is using robots to roam the store and collect data on misplaced items, as well as products that are running low on stock. The idea is to allow robots to assume simple inventory tasks, allowing human employees to focus on providing top-notch customer assistance. The IoT approach to retail operations is a gamechanger, and will generate a period of disruption throughout the industry at a time of considerable uncertainty. Some applications – mainly those that are intended to completely revamp the customer experience – will likely require market-level feedback before full integration. Other applications are focusing on backstage operations to reduce costs, such as the solutions offered by Sensa Networks. These are likely to be more readily embraced by retail managers in the short term. To read more about Sensa Networks, and to check out their IoT Retail Case Study, visit the Sensa website today.